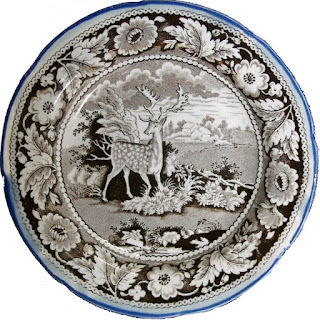 Dishy News - A Transferware Blog: SALOPIAN OR NOT? Known in the United States as Salopian china, this style of printing decoration includes high temperature painted colors applied to a transfer print, under the glaze. 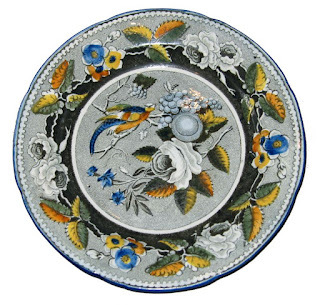 Another rather long descriptive name would be underglaze polychrome painted pearlware. 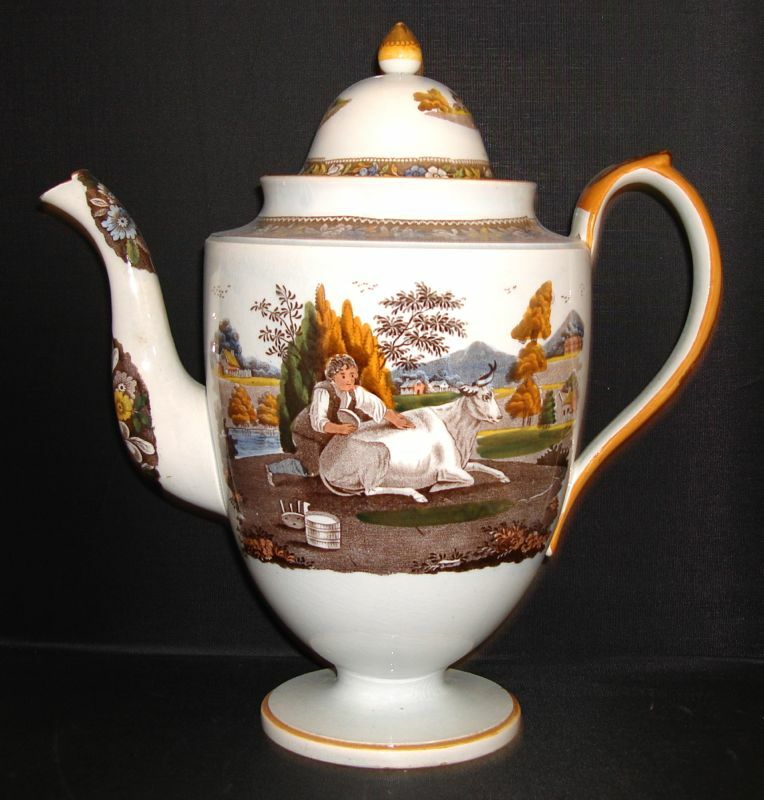 The name Salopian should not be confused with Caughley Salopian porcelain that was made in Shropshire. 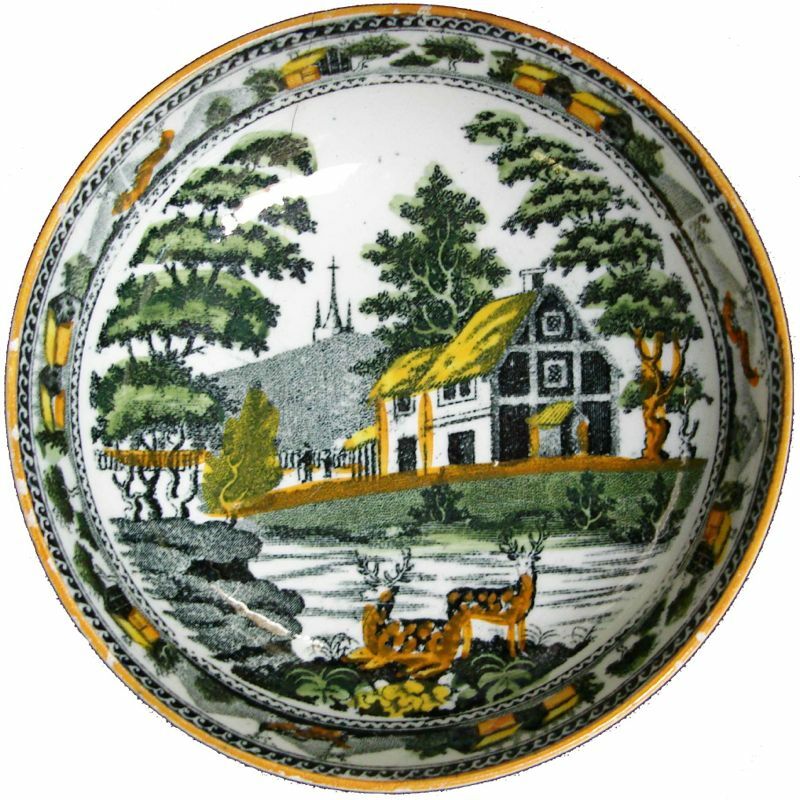 The Latin name for Shropshire is Salops, thus the name Salopian (for the porcelain). 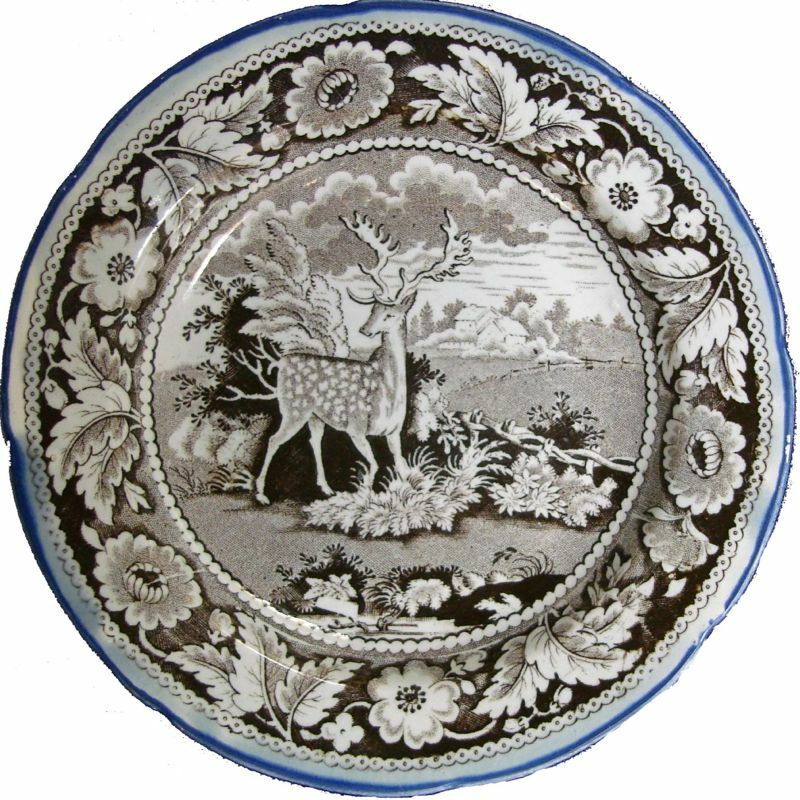 Salopian decoration is commonly seen on teawares, but the rare dinner plate is found. 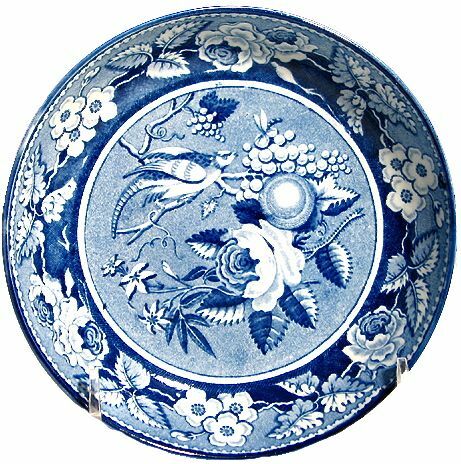 Remember, that the name "Salopian" for this type of china decoration is only used in the United States. 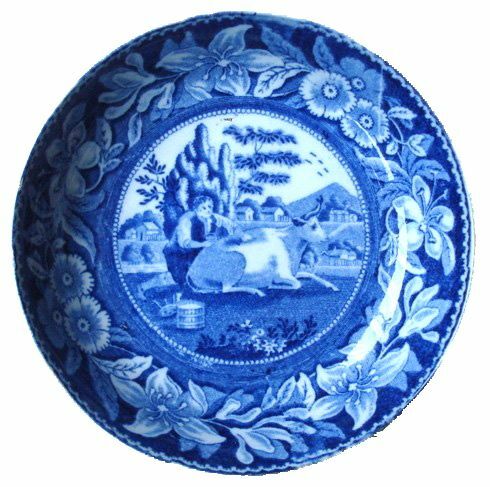 To further confuse you, the word Salopian is also applied to one color underglaze transferware (monochrome Salopian), but mainly to teawares that have their counterparts in polychrome. 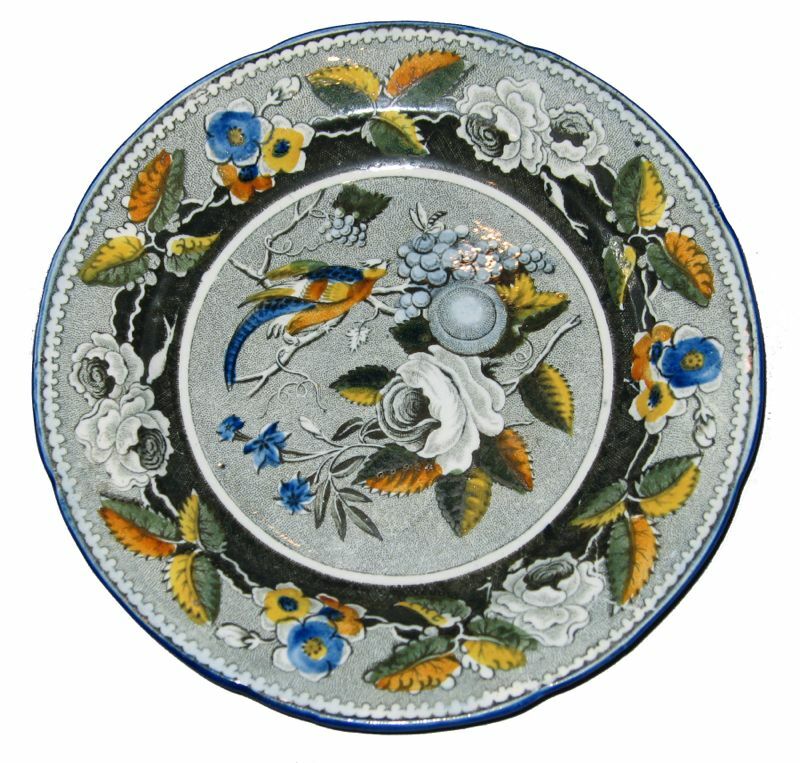 They all have a painted line around the edge, usually in blue or ochre. 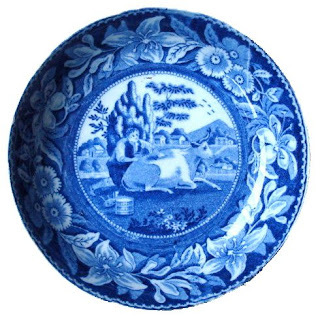 I have been told that "Salopian" wares are from the 1810-1820 period.